Discussion [News] Introducing new features and members to Nebula! One of the most excited moments for us is definitely the time to announce new release to all of you. And yes, today we’re happy to introduce new features and enhancements to you that were released on Dec 17 and Jan 14. This time, as usual, we’ve released plenty of features including multicast streaming for IPTV, security report, enriched Mobile App, two NebulaFlex Pro APs and a new Nebula security gateway. Take a look on the key features. Support advanced IGMP multicast function and IPTV report to provide utilization, network analysis and client statistics of the multicast groups or channels in an IPTV environment. 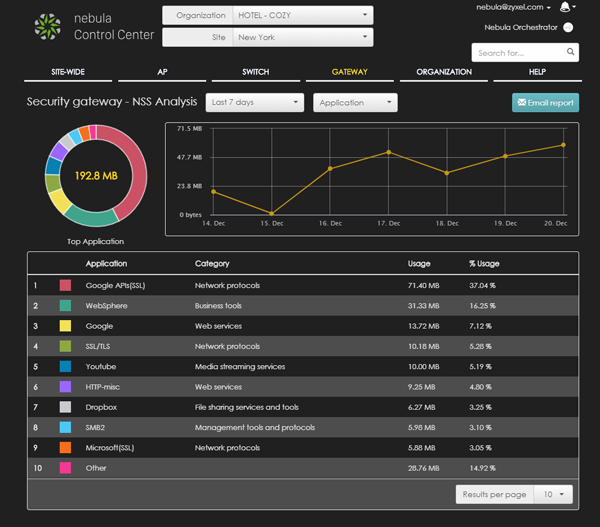 Support Nebula Security Service analysis report, including Anti-virus, Application Patrol and Content Filtering to view usage and hits of network client IP addresses at a glance. Support backup and restore the settings of sites and switch devices under an organization, storing the backups on the cloud. Two APs with NebulaFlex Pro, NWA5123-AC HD and WAC6303D-S, including 3 years Professional Pack license as well as support for standalone, hardware controller and Nebula triple mode functionality.